“The Forever Years” would like to direct our readers’ attention to an awesome TV interview with Dunedin Co-ordinator Tracey Leishman, who explains more about this amazing project which helps some of our most traumatised kids here in Aotearoa/ New Zealand. that there was not enough support for families caught in the epidemic in their communities. 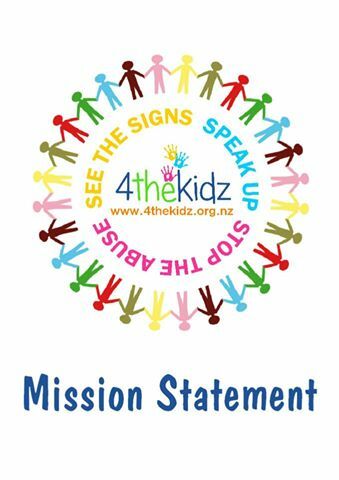 “4thekidz” was born by six people, myself and five others, putting our heads together and saying ” we can make a difference.” We all believed that we, the world as a village, could make sure that there was knowledge of where and how abuse could be addressed as a community. At first we felt we could change and save the world, but we quickly realised that in fact , it was about educating and supporting one person at a time , and spreading that support by speaking out at every opportunity , (at clubs, awareness days, community groups and so on) that would open people’s eyes as to how to affect change . 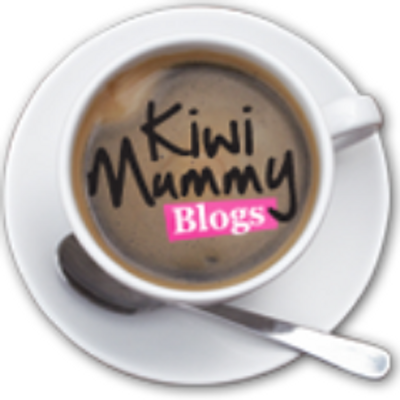 The stats in NZ are some of the worst in the world: this year alone we have seen some horrific child murders and abuse cases and many are currently before the court and can’t be discussed at this time . 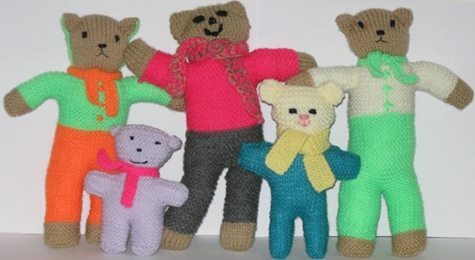 In 2013 one of our founding members Suzy Brown created “tedz4thekidz”. She saw how children going through forensic examination, already traumatised by the abuse that had led to this examination, needed something to comfort them. Many children where also facing removal from their home and family whilst investigations continued, some never to return to those homes . Over time this evolved to tedz packs containing a teddy to cuddle , a blanket to wrap themselves in, a torch so they need never fear the dark and a diary/ colouring book, for expressing feelings . 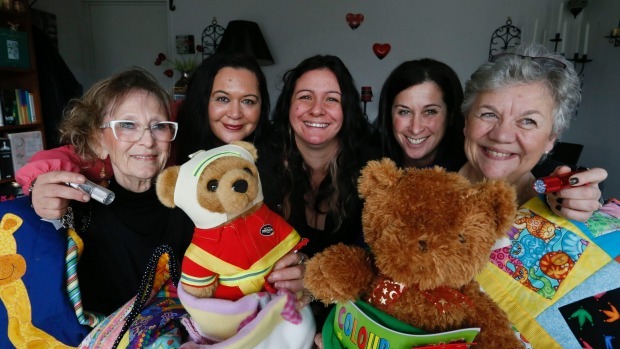 The NZ public have embraced this project and the support given by way of knitters, crocheters, quilters and donors of the other pack items all over NZ is incredible. These packs are delivered to the forensic units as required . We never meet the children who receive them. The packs are not a gift or reward, they are given to the child purely to comfort them at this most stressful time . 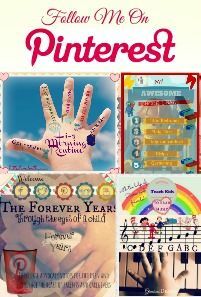 I first came across “tedzforkids” through another page and was intrigued by it and couldn’t help but support them. I sent a couple of parcels of handmade sock monkeys over the months and Caro asked if I would like to start it up here in Dunedin, but at that time in my life I wasn’t ready. In march this year I was captain of my “Relay for Life” team (organising and running it all) and the adrenaline rush from that inspired me to take the plunge and contact Caro again with a YES. I really want to get the charity “out there” in the public eye and to help the community realise that the amount of child abuse going on in our neighbourhoods is unacceptable. This year has been a horrific one so far, too many angels taken far too soon: we as a community need to stick together and speak up if we hear or see anything. Bruises and cuts heal over time, but what our eyes and mind see scar us deep down for life. Abuse comes in many forms and affects everyone differently. No child should ever have to witness any form of abuse. I also feel this from my own personal experience of partner abuse and I still feel guilt that my son was in same house when it was happening: it still haunts me to this day, as I know it has affected him. 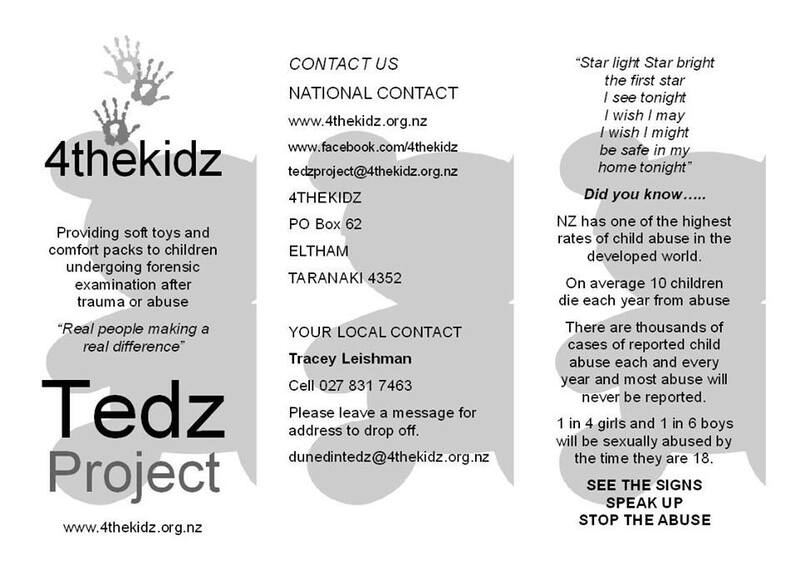 This is my project then, my “baby” , “tedz4kidz”, that I’m starting down here in Dunedin, as the co-ordinator for the Dunedin area. 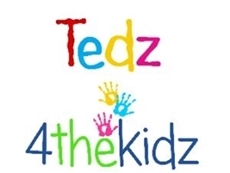 “Tedz4kidz” is also expanding nationwide, through many other centres. 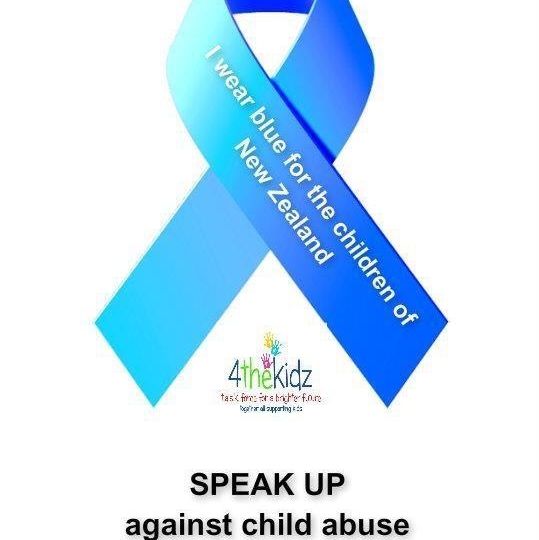 The more people know about the cause and talk about it , the more it helps others speak up, so hopefully it will help stop another child being taken too soon. 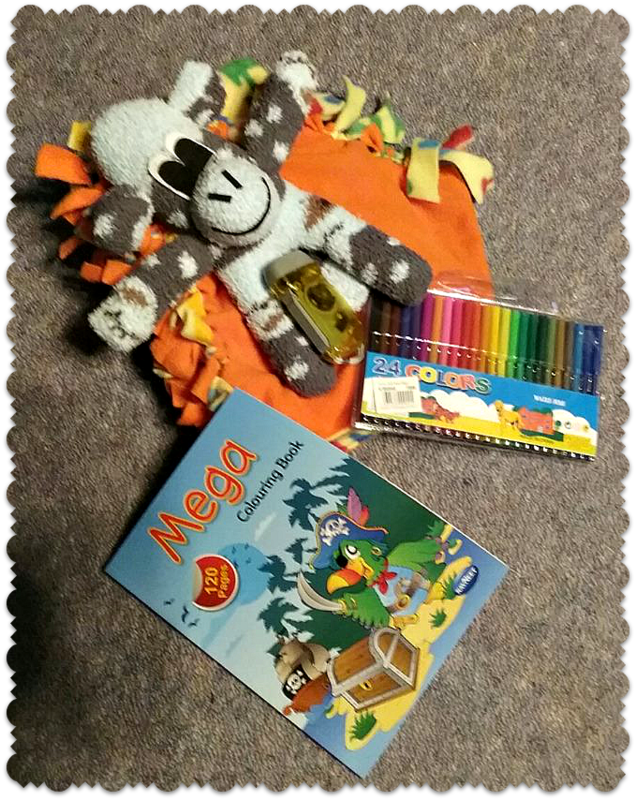 “Tedz forkids” provides comfort packs consisting of all NEW donated products: blankets, soft toys, crayons/pens, colouring books/journals and torches. These packs are made up with love by myself and other volunteers. Each one is unique and will carry a story, hopefully, of love and comfort for years to come. Packs are made up in boy/girl and age appropriate , they are then given to the local police station where they will be handed out to children traumatised from abuse and forensic testing. I hope that writing this article wll help get the word out and get both “tedz forkids” and “4thekids” recognised more, especially down here in the south. 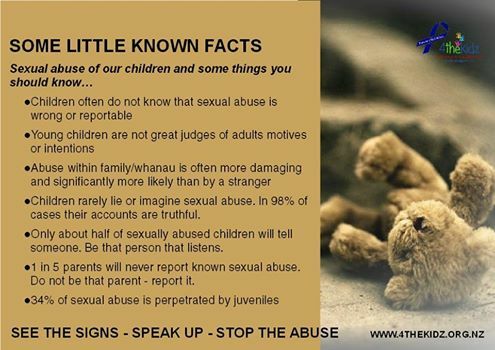 We need to keep our eyes and ears open, speak up and break the cycle of abuse. This project is close to my heart, I’ve been through abuse and have come out the other side as a survivor and a stronger person, so I now hope to help make a difference for others.